The hosts have gone haywire and are taking control. 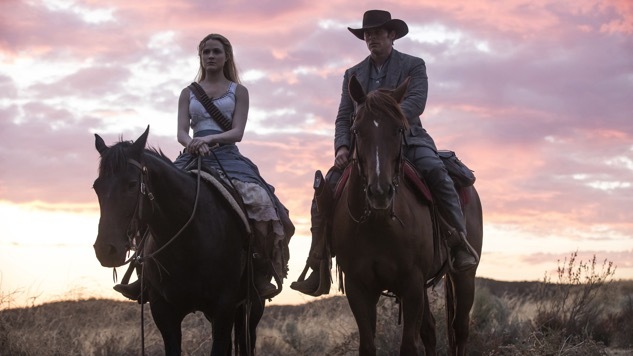 After the show’s season one finale back in 2016 ,which left all of us utterly shocked (something HBO is great at doing), we have been aching to get back to Westworld. Thanks to a brief teaser aired during The Super Bowl this year, we got a little taste, but now we want more. Emmy and Golden Globe nominee Evan Rachel Wood posted Wednesday night on Instagram a quick glimpse at the official full-length trailer, which you can see at the bottom of this post, beneath the trailer itself. It’s been over a year and a half since we first journeyed to Westworld, so the time to return is finally almost here. The series’ creators, Jonathan Nolan and Lisa Joy, explained that they wanted to take their time in writing a truly spectacular season full of twists, turns and overly complex plot lines. Filming for season two began last summer and wrapped only recently after a momentary hiatus due to an unspecified actor’s off-set injury. Season one received massive critical and awards praise, with 22 Emmy nominations, including nods for Best Drama Series, Outstanding Leading Actress in a Drama Series for Evan Rachel Wood and Outstanding Leading Actor in a Drama Series for Anthony Hopkins. It was also nominated for Best Drama Series at the Golden Globes last year, which included nominations for Wood and Thandie Newton, as well. We think it is safe to say that Westworld will definitely make an appearance at this year’s Emmys and probably at the 2019 Golden Globes, too. The official trailer below is all that we could’ve hoped for. No words can really describe how exciting it is, so please enjoy and get ready for Westworld’s season two premiere on April 22. Ready to bring yourself back online? The #Westworld Season 2 trailer drops worldwide tomorrow, March 29 at 11AM ET/8AM PT. ??????!!! !